"I suddenly felt as if we were taking off. You too were poised on one leg, as if the little room could no longer contain you. You soar up to the ceiling. Your head turned down to me, and turned mine up to you... We flew over fields of flowers, shuttered houses, roofs, yards, churches." These are the words of Bella Goldenberg, Chagall's fiance, muse and sweetheart, describing their engagement. 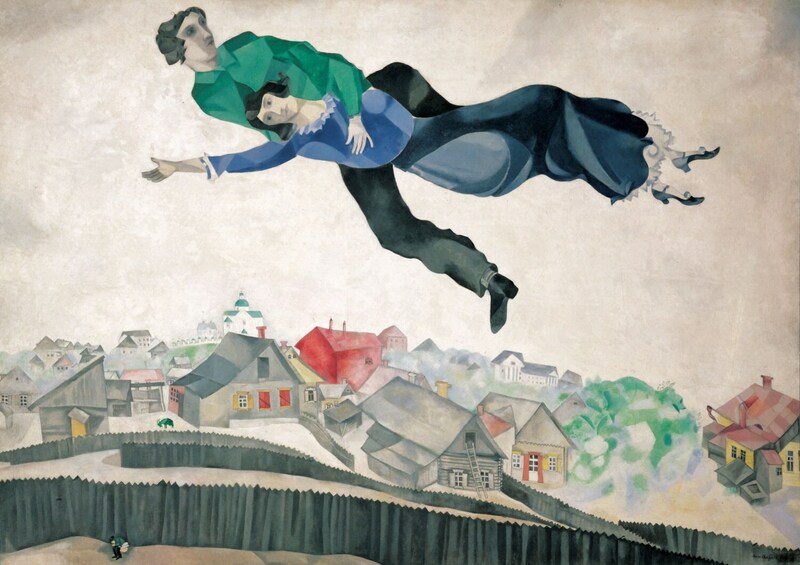 Chagall felt as strongly as she did and painted a series of works celebrating their love. Makes your heart pound.